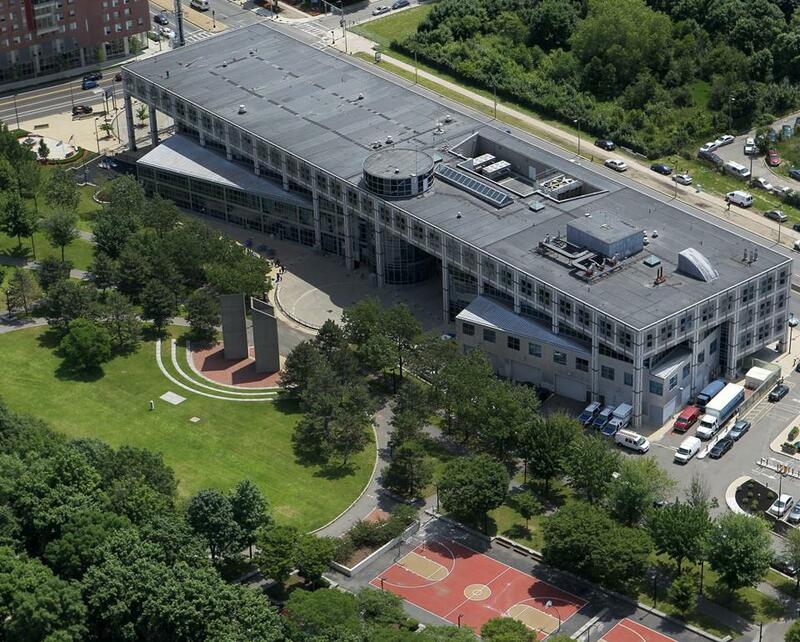 The Boston Police Department’s headquarters. 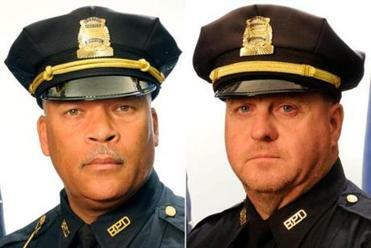 Three officers assigned to provide security at the front desk of the Boston Police Department’s Roxbury headquarters have been placed on administrative leave amid an investigation into alleged payroll abuse. A department spokesman, Sergeant Detective John Boyle, said Monday that the three officers — Louis A. Vasquez, David A. Stewart, and Curtis Carroll — are being investigated by the Internal Affairs Unit. “The officers have been placed on administrative leave pending an ongoing internal affairs investigation into time and attendance issues,’’ Boyle said in a written statement. He declined to comment further. No criminal charges had been filed as of Monday afternoon, the Suffolk district attorney’s office said. Kenneth Anderson, attorney for the Boston Police Patrolmen’s Association, said three union members were put on administrative leave with pay, and that all were assigned to the front desk at headquarters. These cases are another example of the unusually secretive process that Mass. uses to consider requests for criminal charges issued in district and municipal courts. Anderson, who refused to identify the officers by name, said they do not know the reason for the investigation. He said the front desk is under constant video surveillance and questioned how officers under such scrutiny could do anything wrong. “I’d be shocked if people were leaving their shifts early or not doing what they are supposed to be doing — because it’s all on videotape,” he said. Vasquez, Stewart, and Carroll could not be reached for comment Monday. Carroll was one of several officers who successfully sued the city in 2001 for unpaid overtime. City records show Carroll earned about $200,000 in 2017. He got $95,390 in base pay, as well as $23,744 in overtime and $60,582 for paid details. Vasquez took home $244,296, including more than $107,500 in detail pay and $25,000 for overtime. Stewart earned about $150,000, including $28,116 in overtime, records show. The internal inquiry follows federal and state investigations into State Police overtime abuses that have led to several guilty pleas. Troopers are facing jail time and the possible loss of their state pensions. Joshua Miller of the Globe staff contributed to this report. John R. Ellement can be reached at ellement@globe.com.